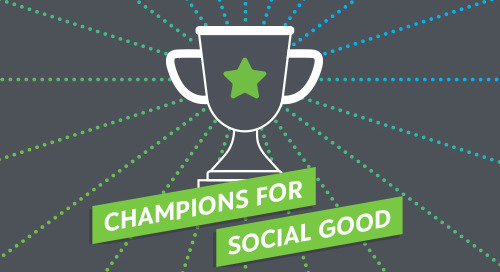 In this episode of the Champions for Social Good Podcast, Jamie Serino speaks with Yasmina Zaidman (@yasminajz), Director of Strategic Partnerships at Acumen (@Acumen). Yasmina discusses Acumen’s history as a pioneer in helping to develop new solutions to global poverty by investing in businesses, leaders and ideas. Yasmina also discusses how Acumen’s model of investing patient capital helps entrepreneurs create outsized impact in their communities and globally, and how their entrepreneurs have demonstrated that a great business model achieves both growth and impact, from small startups to multinational corporations. Examples of Acumen’s work to help create business partnerships between large companies and entrepreneurs are also discussed.